Whether it is part of a comprehensive licensing campaign or a distinct, independent evaluation is required, TechPats has internal experts with a variety of data and tools to offer patent and technology market analysis, as well as patent and IP valuation. Between our PhDs and our MBAs, along with our proprietary tools and industry know-how, TechPats can develop a personalized plan for market analysis to meet any business goals you may have. Patent Valuation is a data-driven process guided by smaller algorithms and expert evaluations. 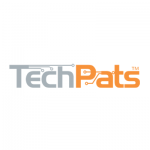 TechPats has proprietary methods and tools to guide analysis of the financial aspects of patents. Valuations can be useful in guiding business decisions and discussions, as well as research investment and IP Acquisition & Divestiture strategies. On occasion TechPats has been asked to provide opinions on Valuations of patent portfolios in business-adjacent matters such as business valuations, loan collateral, bankruptcies, and ownership disputes. Competitive Intelligence is an umbrella term for an examination of the IP in an industry/technology and its owners. The value of creating a good Competitive Intelligence plan is to help direct business decisions and put patent and IP questions in proper context. These reports can inform and guide business policies, R&D spending, M&A activity, and technology transfer strategies. Perhaps just as importantly, Competitive Intelligence, in one form or another may be the starting point to developing a licensing campaign by identifying players in an industry, estimating market values, and gathering competitive intelligence about other IP portfolios. On-going Competitive Intelligence can provide a client with monthly or quarterly update on specific IP owners or inventors, particular technology areas, multiple industries, or even particular USPTO art units or examiners. Developing a custom report detailing Innovation Trends combines concepts of Patent Landscaping, Competitive Intelligence, and Patent Mining to identify areas of growth in specific technology (and areas for future development).Whether it is a one-time investigation or a quarterly check-up, monitoring Innovation Trends can be vital for IP and financial success as it can help guide business decisions such as R&D spending and business expansion strategies.